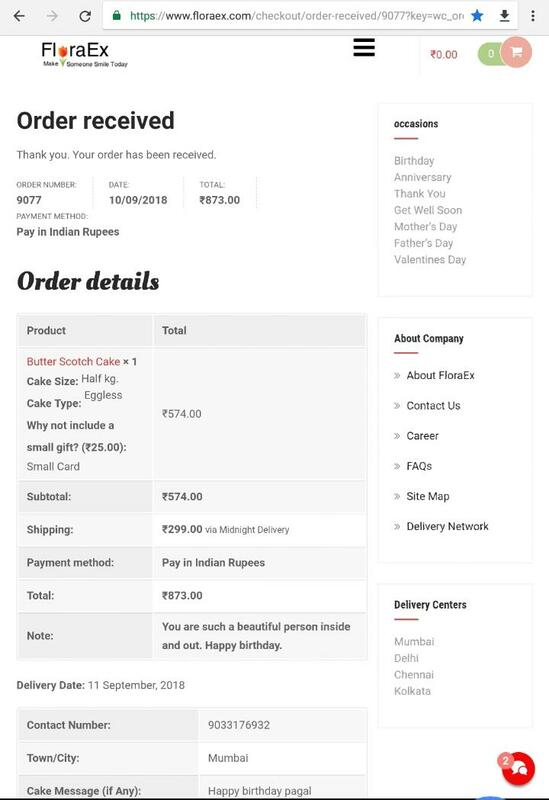 I booked an order on 10/09/2018 ( order number 9077) A cake, for the date 12/09/2018 mid night delivery, the order was confirm and payment made ( Rs. 873) . On next day also I got confirmation the order will be delivered on time. On that night I tried to call the phone was switched off. No response from that side. After that i am seeing the review for that site many of them for cheated through this site. so kindly take action against this site so that other people can get saved. till now the contact number is working but they are not properly responding.